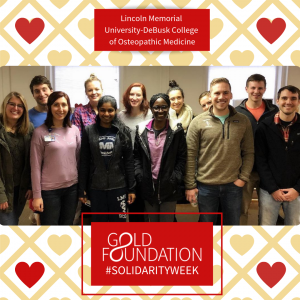 The participation from our chapters during 2019 Solidarity Week for Compassionate Patient Care was beyond inspiring. Our chapters held panel discussions on topics such as gentrification in West Philadelphia, Immigrant Health, and how to better care for our veterans. Our members baked, cooked, crafted, and put together gift baskets for their patients and their families, and most importantly spent hours harnessing a deep human connection with them. We are grateful to all of our members for the ongoing humanistic impact that they are having in their communities. To see what other GHHS Chapters did around the nation, click here! 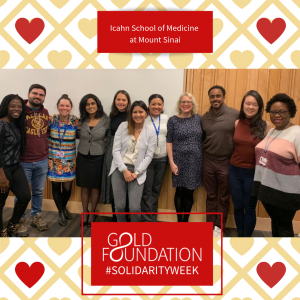 How did Solidarity Week start? 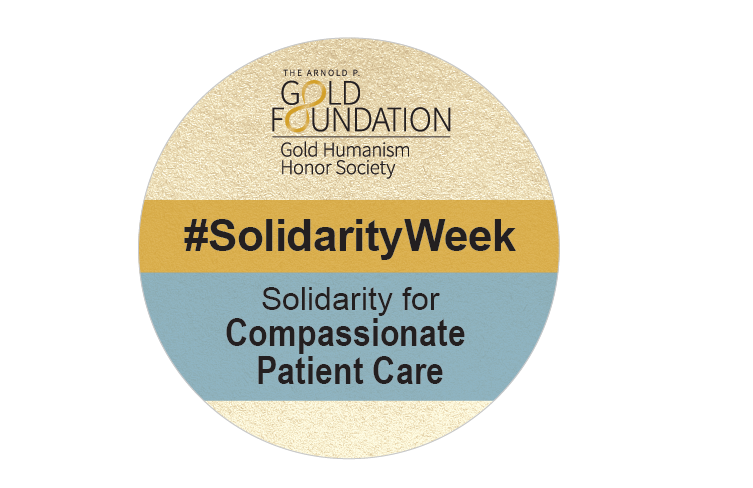 The national Gold Humanism Honor Society office established National Solidarity Day for Compassionate Care in 2011 to highlight the nation-wide movement promoting provider-patient relationships based on caring, personalization, and mutual respect. Momentum gathered particularly after the Senate passed a resolution in 2013 and 2014 to officially recognize Solidarity Day on the national calendar, and it is now typically celebrated on or around Valentine’s Day. In 2016, many chapters celebrated a week of events instead of just one day.